CAIRO It's early in the morning, and 13-year-old Ezzat is hard at work in one of Cairo's pottery workshops in an ancient part of the Egyptian capital. He sorts through the day's production. In the same area of workshops, three barefoot boys under the age of 12 carry clay pieces from inside the factory out into the sun to dry. The Egyptian government estimates that some 1.6 million minors work - almost 10 percent of population aged 17 or under - often in arduous conditions. Other experts put the number at nearly twice that, given that so many work in informal sectors and are difficult to track. In 2011, a U.S. Department of Labor report said Egypt had made some efforts to eliminate the worst forms of child labor, but it said the country has not addressed gaps in legal enforcement to protect children. Some child labor activists worry that protections for children could be loosened further under the new constitution still being written. Earlier this month, the Egyptian Coalition for Children's Rights warned that early drafts of the document did not include as firm prohibitions on child labor as past constitutions. In Cairo's Tahrir Square, famous as the epicenter of the 2011 revolution that toppled Hosni Mubarak's one-party rule, children can be seen selling flags, popcorn and tea whenever a demonstration draws a crowd. On calmer days when traffic is flowing through the square boys will try and wipe the city's dust off the cars stuck in traffic to earn a few coins. Young boys can be found in the more upmarket neighborhoods of Cairo flogging a dozen and a half fresh roses for 10 Egyptian pounds, about $1.6. 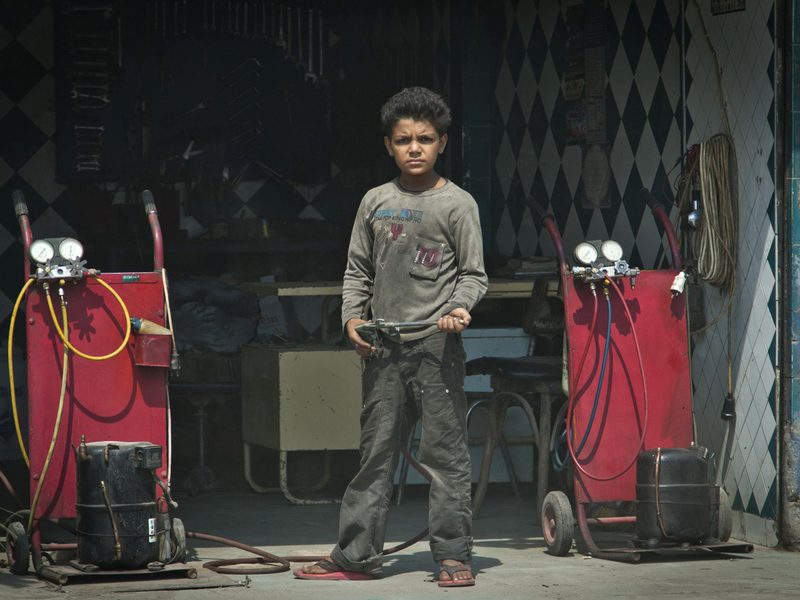 A young boy is almost never missing from an Egyptian mechanic's workshop. Usually covered in grease and grime they fetch the tools, get the dirtiest work and are often physically abused with little or no recourse.